Two terrible wars, two mighty destructions, but two absolutely opposite outcomes. In Syria, it may be autumn now, but almost the entire country is blossoming again, literally rising from ashes. Two thousand miles east from there, Afghanistan is smashed against its ancient rocks, bleeding and broken. There, it does not really matter what season it is; life is simply dreadful and hope appears to be in permanent exile. Damascus, the ancient and splendid capital of Syria, now the Syrian Arab Republic, is back to life again. People go out until late at night, there are events; there is music and vibrant social life. Not all, but many are smiling again. Checkpoints are diminishing, and now one does not even have to go through metal detectors in order to enter museums, cafes and some of the international hotels. The people of Damascus are optimistic, some of them are ecstatic. They fought hard, they lost hundreds of thousands of men, women and children, but they won! They finally won, against all odds, supported by their true friends and comrades. They are proud of what they have achieved, and rightly so! Humiliated on so many occasions, for so long, the Arab people suddenly rose and demonstrated to the world and to themselves that they can defeat invaders, no matter how powerful they are; no matter how canny and revolting their tactics are. As I wrote on several previous occasions, Aleppo is the ‘Stalingrad of the Middle East’. It is a mighty symbol. There, fascism and imperialism were stopped. Unsurprisingly, because of its stamina, courage and aptitude, the center of Pan-Arabism – Syria – has become, once again, the most important country for the freedom-loving people of the region. 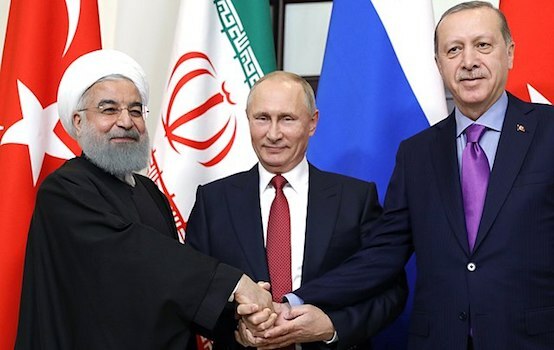 Syria has many friends, among them China, Iran, Cuba and Venezuela. But the most determined of them, the most reliable, remains Russia. The Russians stood by its historical ally, even when things looked bad, almost hopeless; even when the terrorists trained and implanted into Syria by the West, Saudi Arabia, Qatar and Turkey, were flattening entire ancient cities, and millions of refugees flowing out of the country, through the all seven gates of Damascus, and from all major cities, as well as towns and villages. The Russians worked hard, often ‘behind the scenes’; on the diplomatic front, but also on the frontlines, providing essential air support, de-mining entire neighborhoods, helping with food supplies, logistics, strategy. Russians died in Syria, we do not know the precise numbers, but there definitely were casualties; some even say, ‘substantial’. However, Russia never waved its flag, never beat its chest in self-congratulatory gestures. What had to be done, was done, as an internationalist duty; quietly, proudly and with great courage and determination. The Syrian people know all this; they understand, and they are grateful. For both nations, words are not necessary; at least not now. Their deep fraternal alliance is sealed. They fought together against darkness, terror and neo-colonialism, and they won. When Russian military convoys pass through Syrian roads, there is no security. They stop at local eateries to refresh themselves, they talk to locals. When Russian people walk through Syrian cities, they feel no fear. They are not seen or treated as a ‘foreign military force’. They are now part of Syria. They are part of the family. Syrians make them feel at home. In Kabul, I always face walls. Walls are all around me; concrete walls, as well as barbed wire. Some walls are as tall as 4-5 storey buildings, with watchtowers on every corner, outfitted with bulletproof glass. Local people, pedestrians, look like sleep-walkers. They are resigned. They are used to those hollow barrels of guns pointed at their heads, chests, feet, even at their children. Almost everyone here is outraged by the occupation, but no one knows what to do; how to resist. The NATO invasion force is both brutal and overwhelming; its commanders and soldiers are cold, calculating, and merciless, obsessed with protecting themselves and only themselves. Heavily armored British and US military convoys are ready to shoot at ‘anything that moves’ even in a vaguely hostile fashion. Afghan people get killed, almost all of them‘surgically’ or ‘remotely’. Western lives are ‘too precious’ for engaging in honest man-to-man combat. Slaughtering is done by drones, by ‘smart bombs’, or by shooting from those monstrous vehicles that crisscross Afghan cities and the countryside. During this outrageous occupation, it matters nil how many Afghan civilians get killed, as long as the US or European lives get spared. Most of the Western soldiers deployed in Afghanistan are professionals. They are not defending their country. They are paid to do ‘their job’, efficiently, at any price. And of course, “Safety First”. Safety for themselves. After the West occupied Afghanistan in 2001, between 100,000 and 170,000 Afghan civilians have been killed. Millions were forced to leave their country as refugees. Afghanistan now ranks second from the bottom (after Yemen) in Asia, on the HDI list (Human Development Index, compiled by UNDP). Its life expectancy is the lowest in Asia (WHO). I work in both Syria and Afghanistan, and consider it my duty to point at the differences between two countries, and these two wars. Both Syria and Afghanistan were attacked by the West. One resisted and won, the other one was occupied by mainly North American and European forces, and consequently destroyed. After working in some 160 countries on this planet, and after covering and witnessing countless wars and conflicts (most of them ignited or provoked by the West and its allies), I can clearly see the pattern: almost all the countries that fell into the ‘Western sphere of influence’are now ruined, plundered and destroyed; they are experiencing great disparities between the tiny number of ‘elites’ (individuals who collaborate with the West) and the great majority of those who live in poverty. Most of the countries with close ties to Russia or China (or both), are prospering and developing, enjoying self-governance and respect for their cultures, political systems, and economic structures. 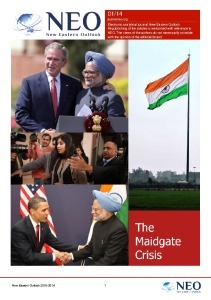 It is only because of the corporate mass media and biased education system, as well as the almost fully pro-Western orientation of the ‘social media’, that these shocking contrasts between two blocs (yes, we have two major blocs of countries, again) are not constantly highlighted and discussed. During my recent visit to Syria, I spoke to many people living in Damascus, Homs, and Ein Tarma. What I witnessed could be often described as“joy through tears”. The price of victory has been steep. But joy it is, nevertheless. The unity of the Syrian people and their government is obvious and remarkable. Anger towards the ‘rebels’ and towards the West is ubiquitous. I will soon describe the situation in my upcoming reports. But this time, I only wanted to compare the situation in two cities, two countries and two wars. In Damascus, I feel like writing poetry, again. In Kabul, I am only inspired to write a long and depressing obituary. I love both of these ancient cities, but of course, I love them differently. Frankly speaking, in the 18 years of Western occupation, Kabul has been converted into a militarized, fragmented and colonized hell on earth. Everybody knows it: the poor know it, and even the government is aware of it. In Kabul, entire neighborhoods already ‘gave up’. They are inhabited by individuals who are forced to live in gutters, or under bridges. Many of those people are stoned, hooked on locally made narcotics, the production of which is supported by the Western occupation armies. I saw and photographed a US military base openly surrounded by poppy plantations. I heard testimonies of local people, about the British military engaging in negotiations, and cooperating with the local narco-mafias. Now the Western embassies, NGO’s and ‘international organizations’ operating in Afghanistan, have managed to intellectually and morally corrupt and indoctrinate a substantial group of local people, who are receiving scholarship, getting ‘trained’ in Europe, and are tugging the official line of the occupiers. They are working day and night to legitimize the nightmare into which their country has been tossed. But older people who still remember both the Soviet era and socialist Afghanistan, are predominantly ‘pro-Russian’, mourning in frustration those days of Afghan liberation, progress, and determined building of the nation. ‘Soviet’ bread factories, water channels, pipelines, electric high-voltage towers, and schools are still used to this day, all over the country. While, gender equality, secularism, and the anti-feudalist struggle of those days are now, during the Western occupation, de facto illegal. Afghans are known to be proud and determined people. But now their pride has been broken, while determination has been drowned in the sea of pessimism and depression. The Western occupation did not bring peace, it did not bring prosperity, independence of democracy (if democracy is understood as the ‘rule of the people’). These days, the biggest dream of a young man or woman in Kabul is to serve the occupiers – to get ‘educated’ in a Western-style school, and to get a job at a US embassy or at one of the UN agencies. 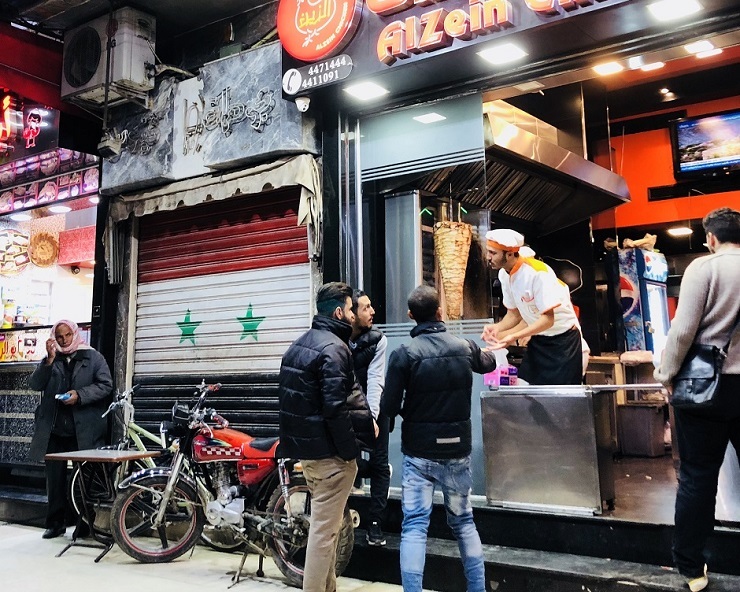 In Damascus, everyone is now talking about the rebuilding of the nation. People cannot wait. I witnessed families, communities, restoring their own buildings, houses and streets. Yes, in Damascus I saw true revolutionary optimism in action, optimism which I described in my recent book Revolutionary Optimism, Western Nihilism”. Because the Syrian state itself is now, once again, increasingly revolutionary. The so-called ‘opposition’ has been mostly nothing else other than a Western-sponsored subversion; an attempt to take Syria back to the dark days of colonialism. Damascus and the Syrian government do not need tremendous walls, enormous spy blimps levitating in the sky; they do not need armored vehicles at every corner and the omnipresent SUV’s with deadly machine guns. On the other hand, the occupiers of Kabul need all those deadly symbols of power in order to maintain control. Still they cannot scare people into supporting or loving them. In Damascus, I simply walked into the office of my fellow novelist, who happened to be the Syrian Minister of Education. In Kabul, I often have to pass through metal detectors even when I just want to visit a toilet. In Damascus, there is hope, and life, at every corner. Cafes are packed, people talk, argue, laugh together, and smoke waterpipes. Museums and libraries are full of people too. The Opera House is performing; the zoo is flourishing, all despite the war, despite all the difficulties. In Kabul, life stopped. Except for the traffic, and for traditional markets. Even the National Museum is now a fortress, and as a result, almost no one can be found inside. People in Damascus are not too familiar with what goes on in Kabul. But they know plenty about Baghdad, Tripoli and Gaza. And they would rather die than allow themselves to be occupied by the West or its implants. Two wars, two fates, two totally distinct cities. The seven gates of Damascus are wide open. Refugees are returning from all directions, from all corners of the world. It is time for reconciliation, for rebuilding the nation, for making Syria even greater than it was before the conflict. Kabul, often rocked by explosions, is fragmented by horrid walls. Engines of helicopters are roaring above. Blimps with their deadly eyes monitoring everything on the ground. Drones, tanks, huge armored vehicles. Beggars, homeless people, slums. Huge Afghan flag flying above Kabul. A ‘modified flag’, not the same as in the socialist past. In Syria, finally the united nation has managed to defeat imperialism, fanaticism and sectarianism. In Afghanistan, the nation got divided, then humiliated, then stripped of its former glory. Damascus belongs to its people. 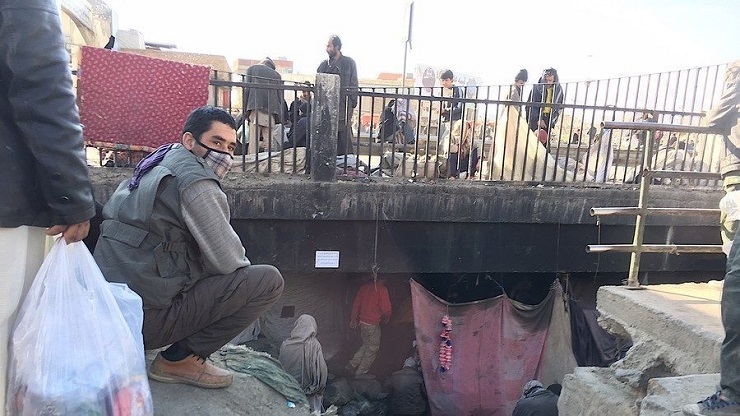 In Kabul, people are dwarfed by concrete walls and military bases erected by foreign invaders. In Damascus, people were fighting, even dying for their country and their city. In Kabul, people are scared to even speak about fighting for freedom. Damascus won. It is free again. Kabul will win, too. Perhaps not today, not this year, but it will. I believe it will. I love both cities. But one is now celebrating, while the other one is still suffering, in unimaginable pain.